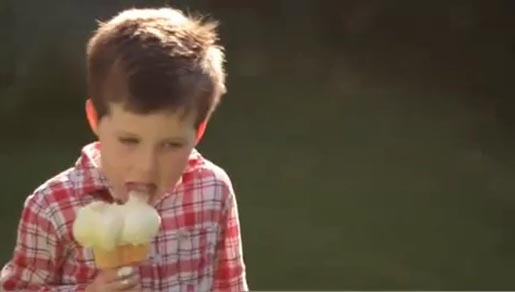 Fonterra’s Tip Top in New Zealand is celebrating 75 years of ice cream production in 2011 with a series of eight television commercials. The advertising campaign is designed to capture the essence of the classic Kiwi summer, past, present and future. The first in the series, “Ice Creams”, gives us a feel for New Zealand’s love of the Tip Top ice cream brand, and a taste of things to come. The Tip Top campaign was developed at Colenso BBDO, Auckland, by executive creative director Nick Worthington, creatives Karl Fleet and Steve Cochran, agency producer Jen Storey. Filming was shot by directors Mark & Louis (Mark Albiston and Louis Sutherland) via The Sweet Shop, with director of photography Marty Williams, editor Mark Albiston, art director Josh ONeill, producer Tony Whyman. Post Production was done at PE Auckland. Music (original soundtrack) is by Warren Maxwell.